A cluster of grain silos sits on the horizon under the brightening dawn sky on the prairies east of High River, Alberta, Canada. I love big skies and I think the scale provided by these farm buildings helps convey that here. This entry was posted on December 8, 2015 by Christopher Martin. 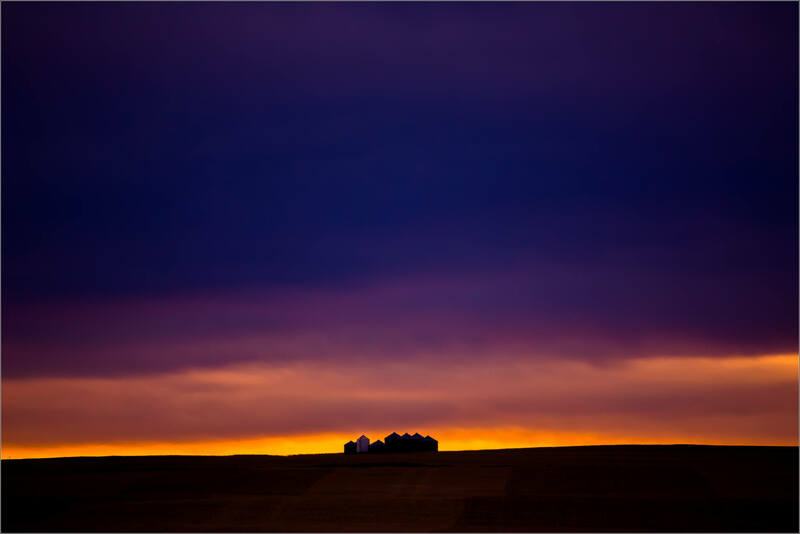 It was filed under Alberta, Landscapes, Prairie, Sunrise and was tagged with alberta, Canada, clouds, dawn, farm, High River, landscape photography, prairie, silhouette, sunrise. i like your post, awesome captures, PERFECT!!! Absolutely beautiful. Thank you for posting this.